Back in February I was looking for a low cost cell phone provider for my son when I stumbled across Republic Wireless. They weren't the cheapest, but seemed to make the most sense of "how" they are so cheap. Republic Wireless doesn't use advertising to get the price down, they use WiFi calling when available and when its not the phone connects to the Sprint network. Like other low cost providers they connect to a lower tier Sprint network which basically means call quality and connection are not as stable as the premium tier which Sprint reserves for customers who pay upwards of 4 times the price. My favorite thing about Republic Wireless is still the price. I’m not a cheap or thrifty guy in every regard. My philosophy is more about saving on certain luxuries so I can embellish the others. 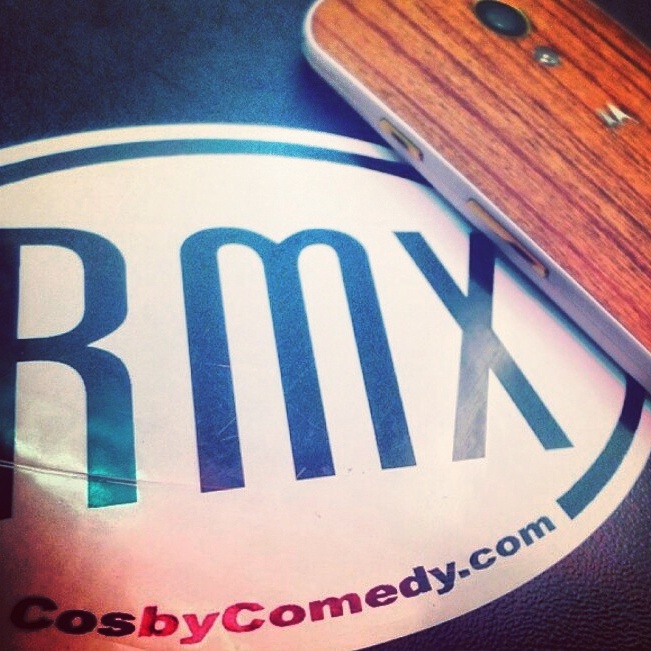 For instance, I have the most expensive phone Republic Wireless offers, a fully customized MotoX complete with teak wood, gold accents and my own logo! I paid (including shipping) $409.00 for this version of a phone that you can get on other networks for free. Republic Wireless has the MotoE for $99, the MotoG for $149 & the MotoX for $299 (unsure if customizing option is still available). Plenty of price points for all types of users. The plans are $5, $10, $25 & $40. I use the $25 3G “unlimited” plan. Unlimited means 5 Gigs of data over cellular and unlimited over WiFi. In September and October I went over 5 gigs and got a ton of warning emails. I found out that after 5 Gigs is used you get another 5 Gigs as long as you don’t go over that too, you’ll always get that buffer. If you DO go over the extra 5 Gigs, they throttle you down to 2G service and you wont get that ” 5 Gig buffer” the following month. In October I went over the buffer and and I am currently suffering the consequences. The biggest inconvenience is streaming content is less than ideal, otherwise I haven’t noticed. I overcome this by downloading pod-casts and music in advance over WiFi before leaving on long trips. My LEAST favorite thing about republic wireless didn’t exist until about 4 months ago & It’s likely not even their fault! For some mysterious reason my WiFi calling feature would stop working. It would be connected but would not engage for web browsing or calling. This would mean that when someone was calling in, I would swipe to answer but the call would be immediately dropped. This would not occur outside of WiFi hot-spots, cellular calling has always been very consistent. The only solution I could find to this problem was to do a “Hard Reset” of the handset. This is easy enough to do, however I have had to perform 3 of these hard resets in the past 6 months. The biggest hassle is re-installing apps and signing back into and configuring them. I think this is happening because of an App but I don’t know which one. After each reset I enjoy much better phone experience. The NOT so good: WiFi calling is contingent on the heart of the broadband connection. WiFi signal is not an indication of the connection quality. In hotels the Signal can be strong but the heart of the network is being over worked. It’s not always an issue but gets annoying fast. The overall cellular call quality ranges from decent to sub standard. Call drops are infrequent and usually geographically based. I couldn’t tell a difference between 3G & 4G service. I know there is one but I couldn’t tell. Bottom Line: Republic Wireless is a special company. It just so happens they are perfect for me but this service isn’t for everyone. I prefer to pay as little as possible for service and still use a top-end phone. If you want an iPhone or Samsung, Sorry, they only offer 3 phones all by Motorola, which happens to be my favorite brand for digital devices. If you don’t live or spend a majority of your time in an area that is Broadband/WiFi connected you would be swimming up-stream for service. For instance if you live in an area that doesn’t get good cellular connections from any company and high-speed internet like DSL or cable isn’t offered AND you don’t leave the house much. My only advice would be to move. If all those conditions exist but you work in the city, and are around WiFi for every other part of the day, then Republic Wireless is absolutely a viable solution. After 10 months with Republic Wireless I can say I am sticking with them, they do exactly what I would do, if I was a cellular company. if you’re interested in low cost cellular please follow the link on my Home page.